1. Mix the orange juice, lemon juice, garlic, ginger, and cilantro in a shallow baking dish. Place in the Brooker's swordfish fillets, and turn to coat with the marinade. Refrigerate the swordfish for 30 minutes, turn over, and repeat for 30 minutes more. 2. 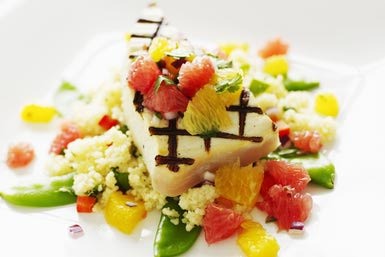 Remove the Brooker's swordfish from marinade to a plate, and season with salt and fresh ground black pepper to taste. 3. Grill the Brooker's swordfish over med-high heat for about 4 minutes per side, or until cooked. Serve immediately.